The most water in galvanizing processes is consumed for rinsing and for process and auxiliary solutions. The quality and quantity of water consumed by industrial; galvanizing processes are determined by the production capacity. The second category water supply is required for most rinsing procedures in industrial galvanizing. The third category water supply is required for most process solutions. Water categorization for solution and rinsing tanks is determined by individual process requirements. 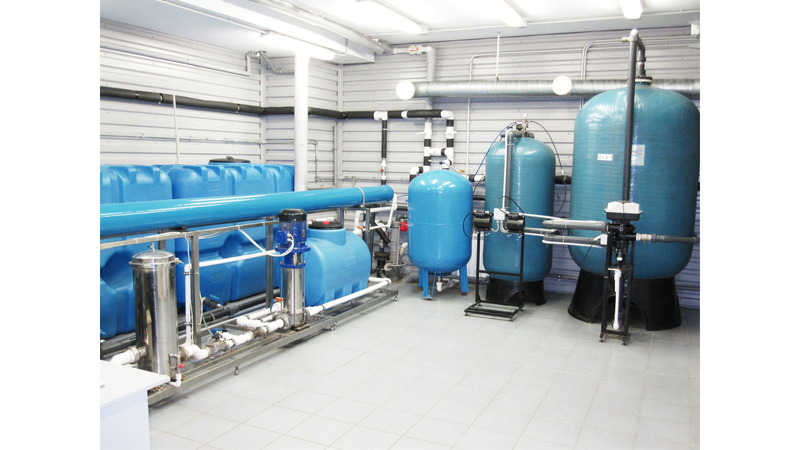 Depending on source water composition, water pretreatment plants may include source water expansion and distribution units, preliminary cleaning units (mechanical cleaning, deironing, aeration, charcoal filtering, etc. ), reverse osmosis plants, ion exchange resin cleaners and clean water expansion and distribution units.